What Is CE Marking And Why Is It Important To Understanding Window Energy Ratings? Before we dive into the topic of Window Energy Ratings, we need to first address CE marking and certifications. CE marking was introduced by the European Commission to break down barriers to trade within the EU. The CE marking indicated by your window & door manufacturer makes sure that your products are consistent with their Declaration of Performance. It also provides you with a reliable way to determine a window’s energy properties, build/design quality and to compare different manufactured products. 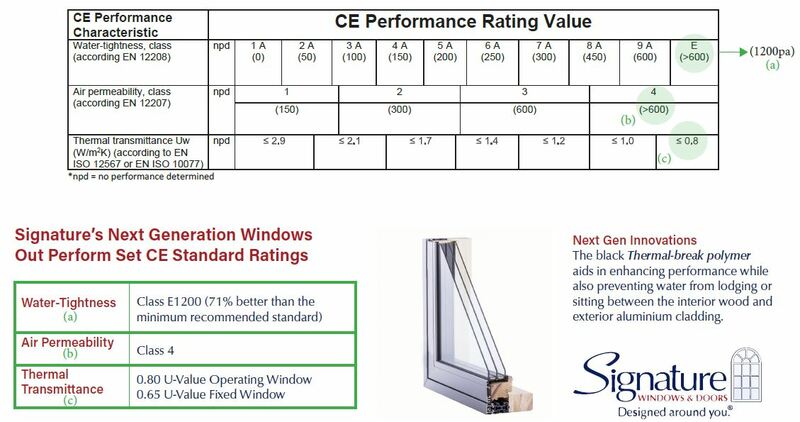 You should always check that your new windows & doors performance features are consistent with their CE markings before making any final purchasing decisions. How Are CE Energy & Performance Ratings Determined? The harmonised EN standard for windows & doors is EN-14351-1:2006. There are three compulsory tests that are needed to be carried out by window manufacturers when CE marking windows. A reputable window supplier will have also tested for other window performance characteristics to give a better indication of the overall quality. Window energy ratings such as U-Values are important but do not give an accurate overall assessment of the window. So Which Window Performance Ratings Matter? Windows with superior performance can save you money in the long term due to the energy-savings that you’ll make in your home. You may also be able to achieve an A-Rated home with high-performance windows in a more cost-effective manner as you won’t need to invest as heavily in other energy saving areas such as heat pumps or water tanks. The following 3 characteristics give you an accurate overall assessment of the performance of your windows. When purchasing windows, you should assess each of these 3 performance characteristics to get a better understanding of the window energy ratings and quality performance. Thermal Transmittance (U-Values) – The U-Values of a window indicates how well insulated the materials of your windows are. While U-Values are an important part of understanding the performance of a window, it does not give an accurate overall performance of energy-efficiency. Air-Permeability (Air-Tightness) – The Air-tightness rating of a window isn’t just an indicator of its energy-efficiency, it’s an extremely important sign of window build quality. Windows with poor air-permeability will quickly result in unwanted air -leakages and condensation within your home. Water-Tightness – The Water-Tightness of your windows give a good indicator as to the lifespan of your products. A common problem found within aluclad wood products is the ability for water to get trapped between the aluminium and wood, causing rot. This performance rating is a crucial factor that you need to be aware of when purchasing aluclad products. The values specified in the table below demonstrate the different ranges of standard metrics for each window performance rating. The performance ratings that are specified furthest to the right indicate the highest set CE standards that can be achieved. Windows that are specified further to the left indicate to a poorer window design. 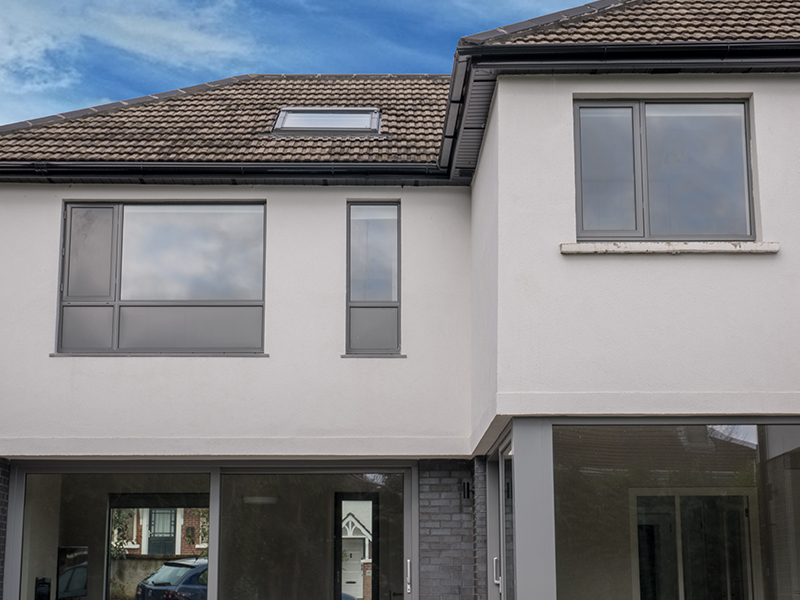 Signature’s Near Passive Aluminium Clad Wood Windows are designed to achieve next-generation energy efficiency, water-tightness and thermal insulation performance found in the industry today. This range of windows includes an innovative Thermal-break polymer that improves insulation performance by at least 35%. 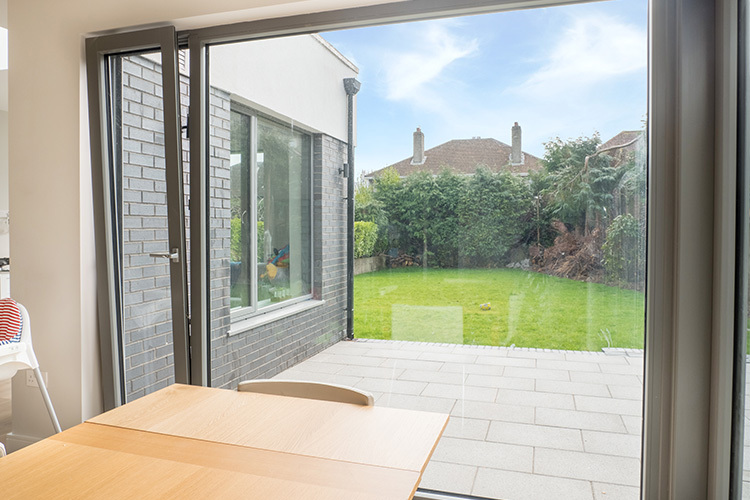 Unlike other window manufacturers who would sacrifice aesthetics for performance, Signature’s Near Passive Aluminium Clad Wood Windows maintain contemporary narrow frames and slim profiles. This combination of both performance and aesthetics results in a superior product design that will enhance your home for years to come. Thermal Transmittance (U-Values): Tells you how well insulated your window materials are. Air Permeability (Air-Tightness): Shows you how well put together your window is in terms of design & build quality. Water-Tightness: Demonstrates how resistant your product is to water, which therefore suggests the durability likelihood.